Manage your lights and temperature settings with automated schedules. or pause if smoke or carbon monoxide is detected to limit the circulation of fumes. so that others can’t adjust the thermostat. The Mobile Grid can use real-time local weather data to adjust your temperature settings to save energy and money if outdoor temps spike. 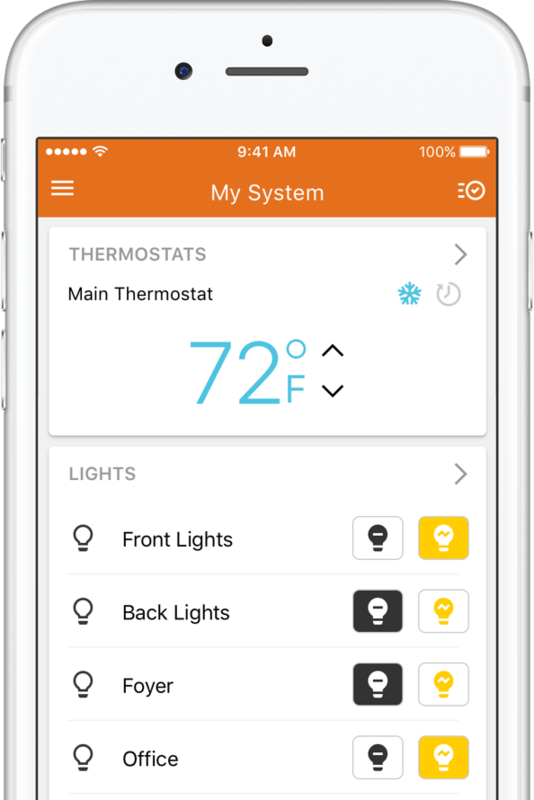 Adjust lights and thermostats from home or while you’re away, with complete control through The Mobile Grid app or any computer.